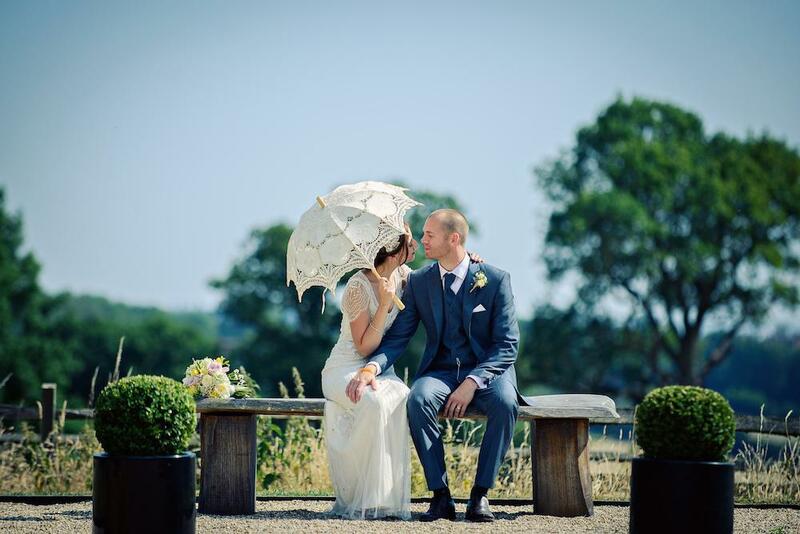 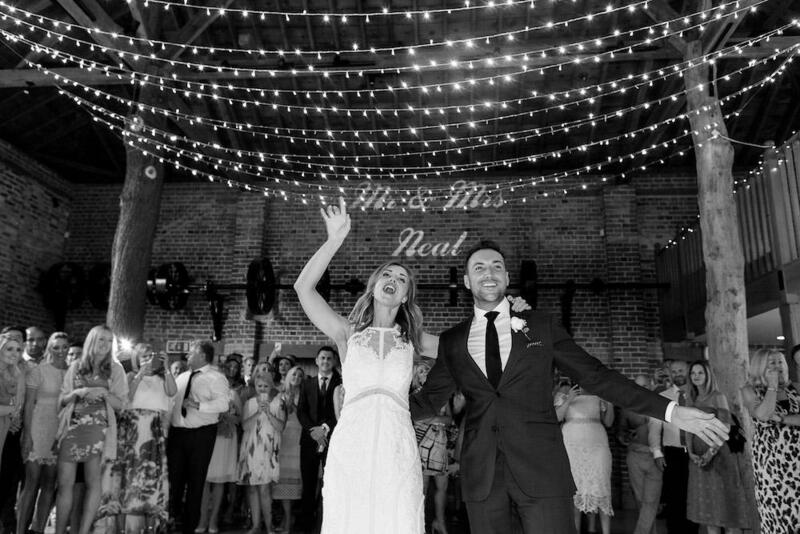 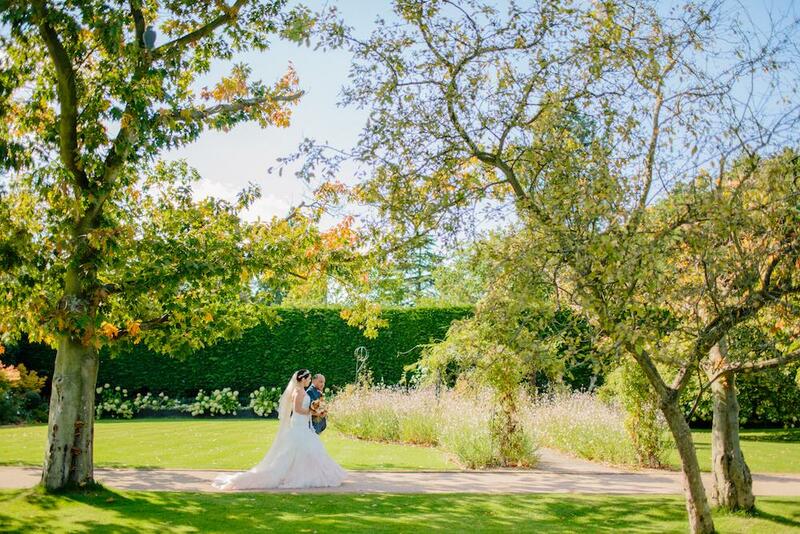 An elegant and sophisticated venue that is truly unique, Gaynes Park boasts immaculately restored listed barns, an Orangery, beautiful gardens and boutique luxury accommodation. 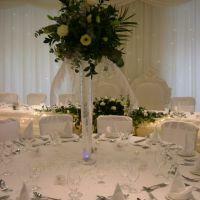 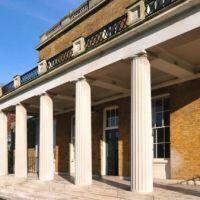 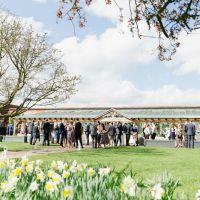 Weddings can take place in one of three locations: the Orangery, Gather Barn or Mill Barn. 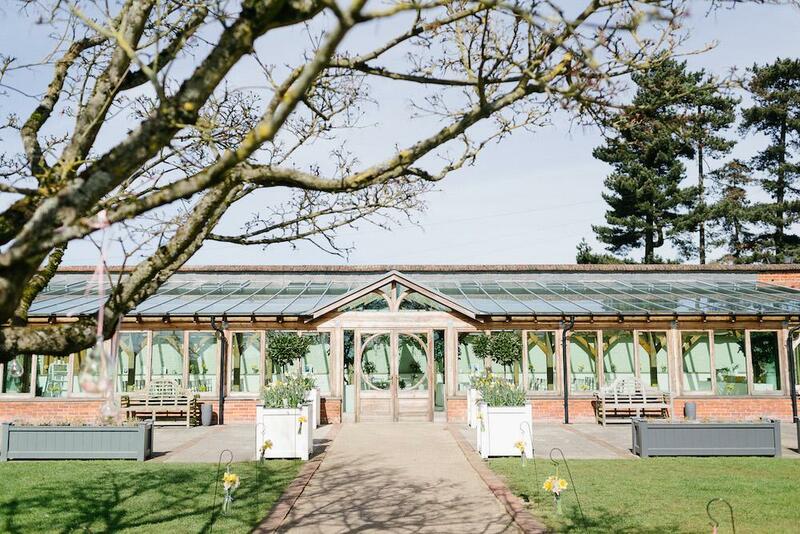 The beautiful Orangery is located in the walled garden on the site of an old Victorian conservatory and is a stylish building with exposed oak beams and central double doors that maximise natural light, warmth, ambience and views to the gardens. 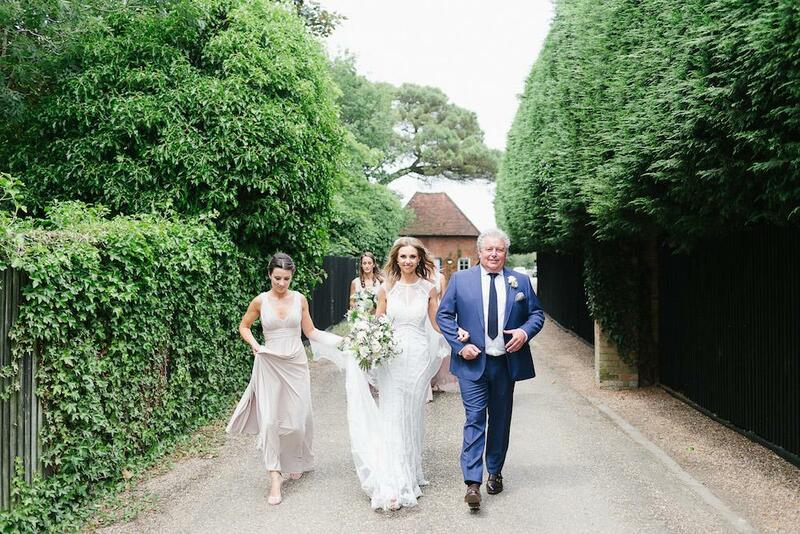 It is approached from the long, central ‘garden aisle’ which winds through the walled gardens to finish at the conservatory doors ensuring a dramatic entrance for the bride. 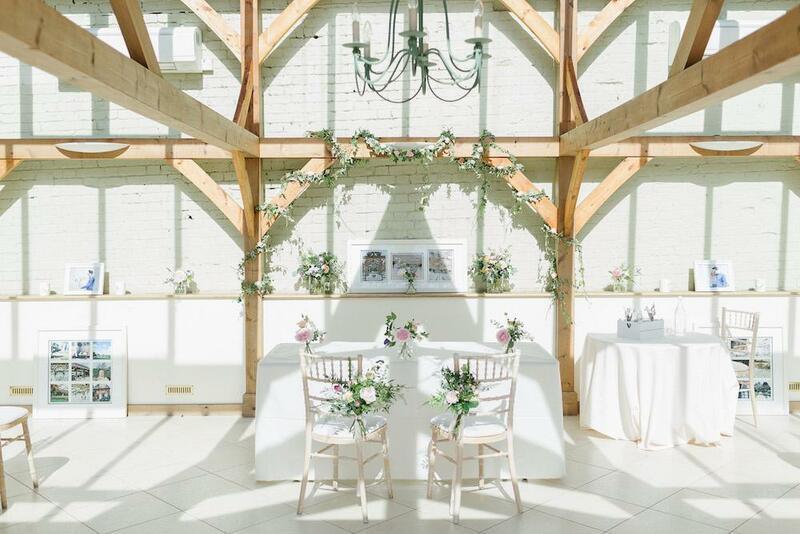 Providing the grand entrance to Mill Barn is Gather Barn; an attractive open-sided listed building which is surrounded by elegant planters and foliage and offers an idyllic setting for an outside ceremony. 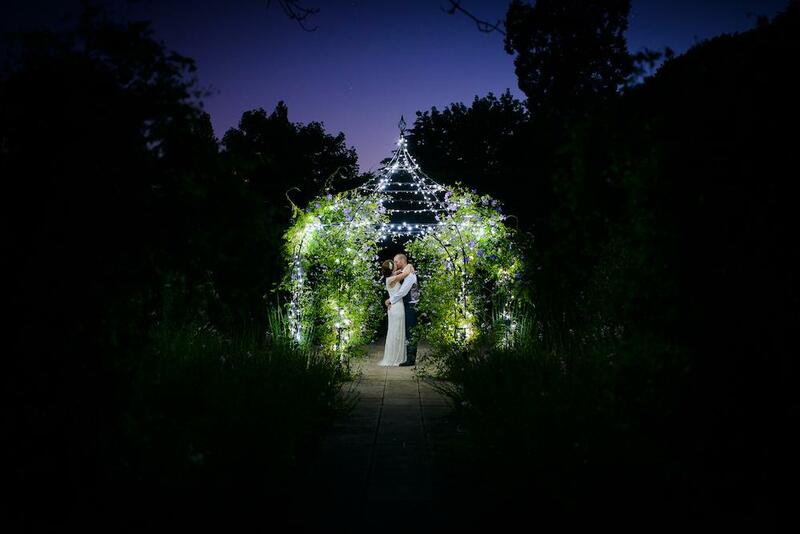 From dusk, it is attractively lit with twinkling fairy lights and uplighters for a magical effect. 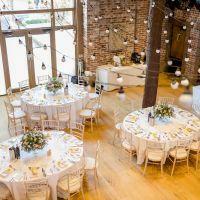 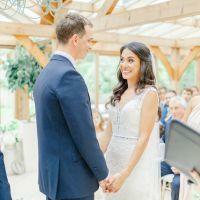 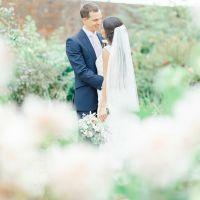 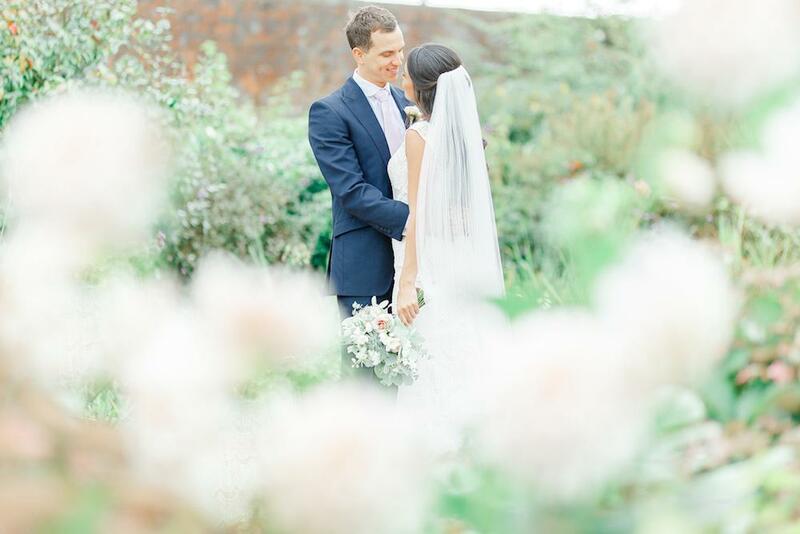 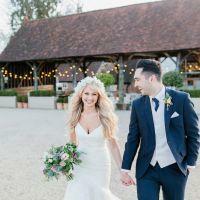 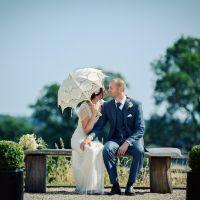 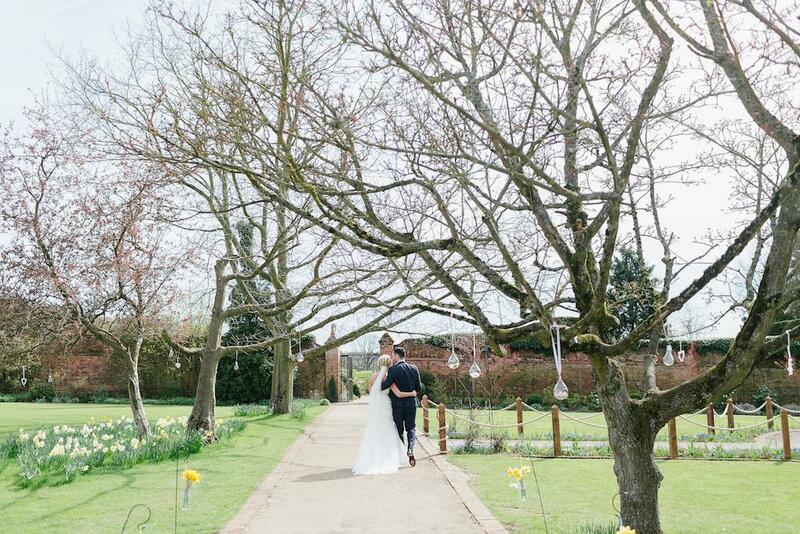 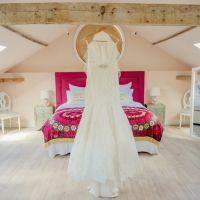 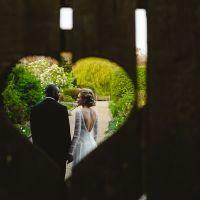 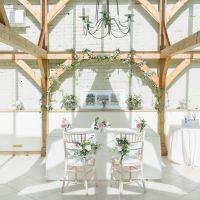 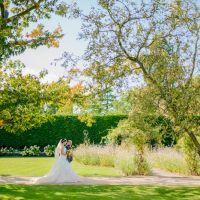 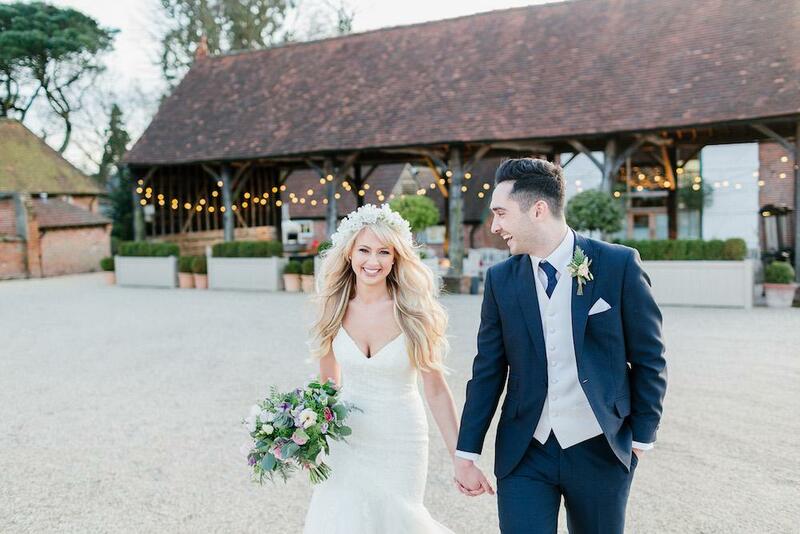 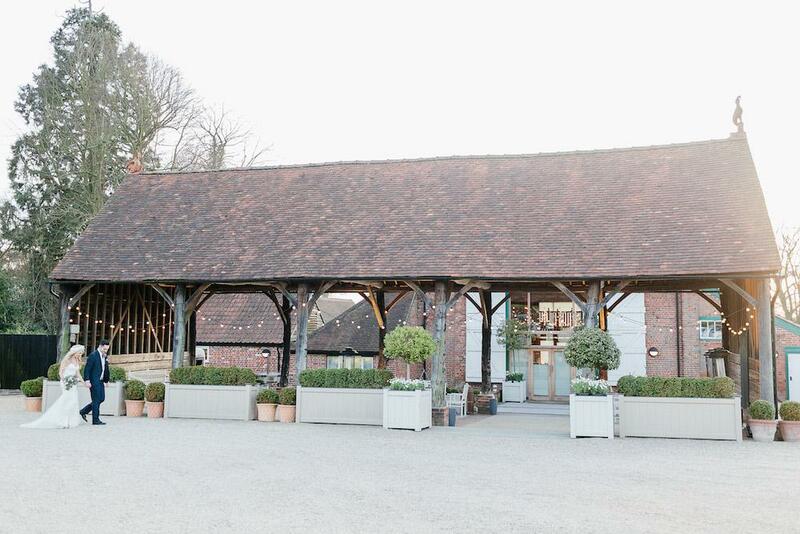 As stunning as the barns themselves are the grounds at Gaynes Park, which are breathtaking. 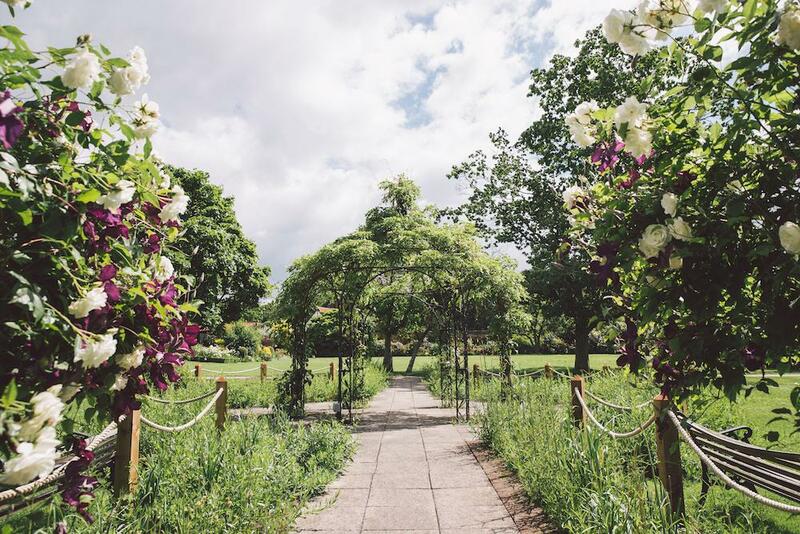 The Long Walk boasts year-round colour thanks to established herbaceous borders, traditional roses, bulbs and perennial shrubs. 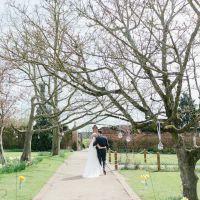 An enchanting place to reflect before the ceremony and for the first photos after the exchange of vows, it is an oasis of calm with its well-tended borders and colourful blooms. 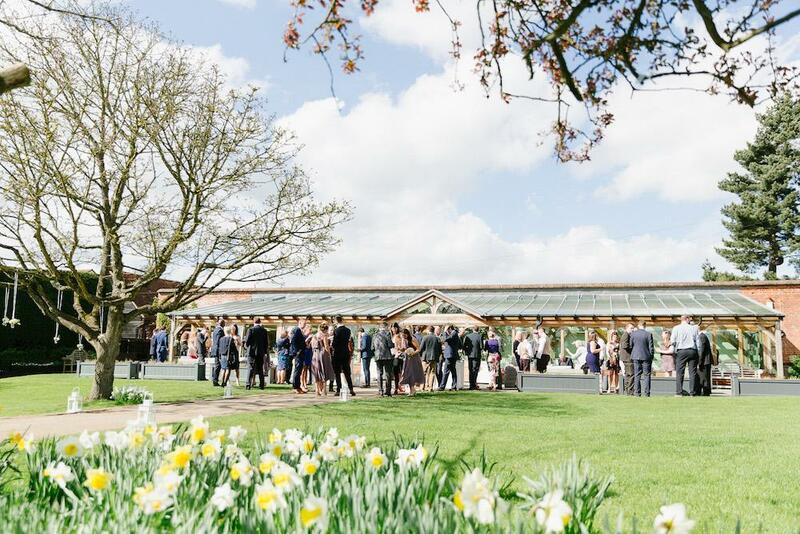 Equally impressive is the Walled Garden, which is a lovely location for mingling with a drinks reception or to play garden games. 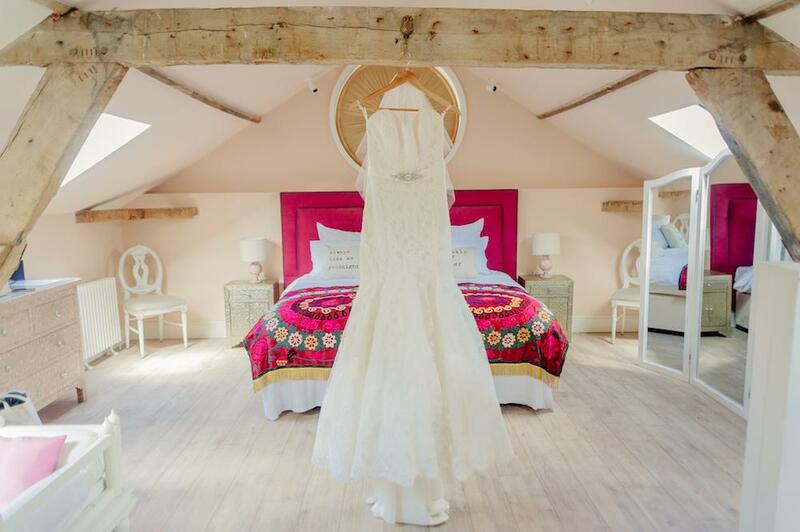 The charming Apple Loft Cottage is available for the bride and her attendants to apply the finishing touches before the ceremony or to freshen up during the day. 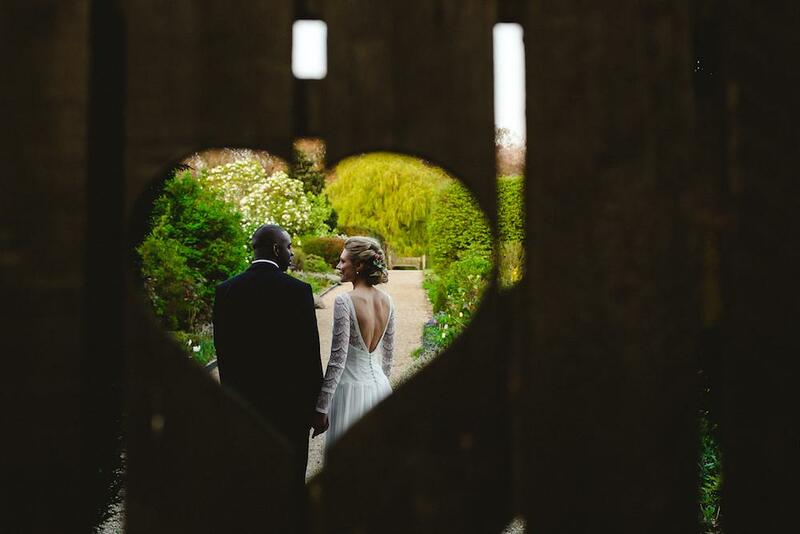 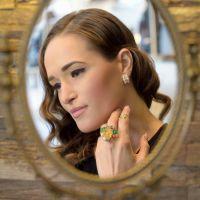 The excitement will build as the bride leaves Apple Loft and makes her way to the picturesque Heart Gate, stopping for a few final photographs before she takes her vows. 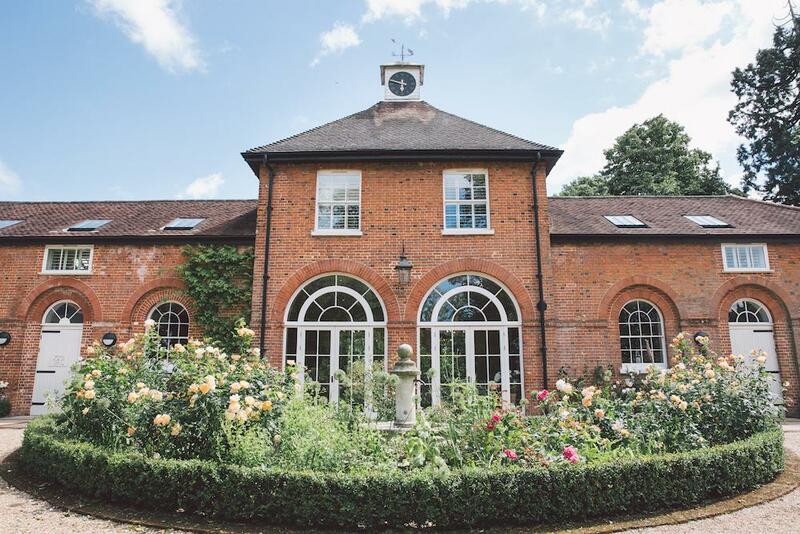 The Coach House, located nearby, is available on the night of the wedding. 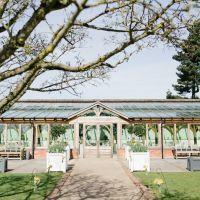 With 10 luxurious ensuite bedrooms and a stunning large reception area with comfortable seating and dining area to enjoy breakfast the next morning. 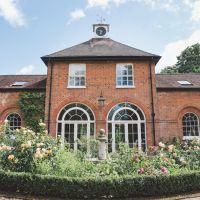 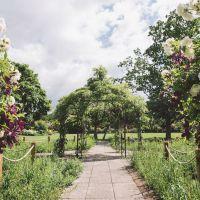 With its serene atmosphere and country views, Gaynes Park could be miles from anywhere. 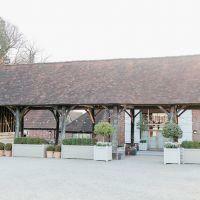 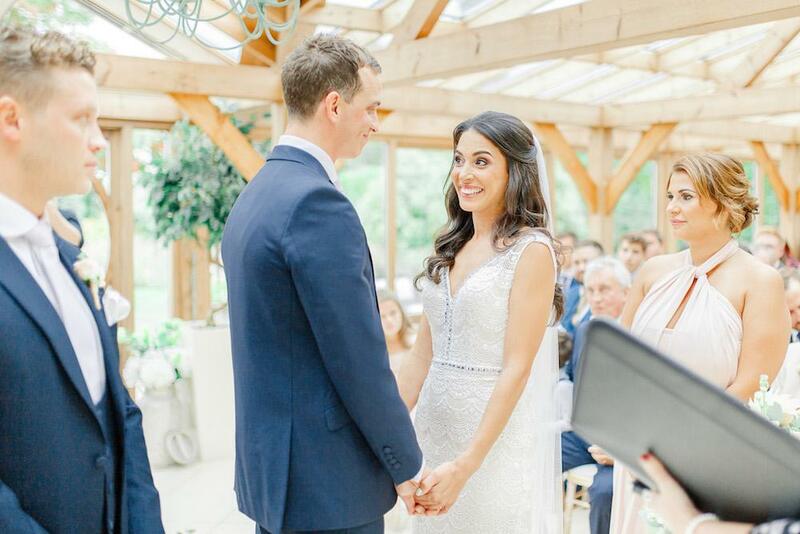 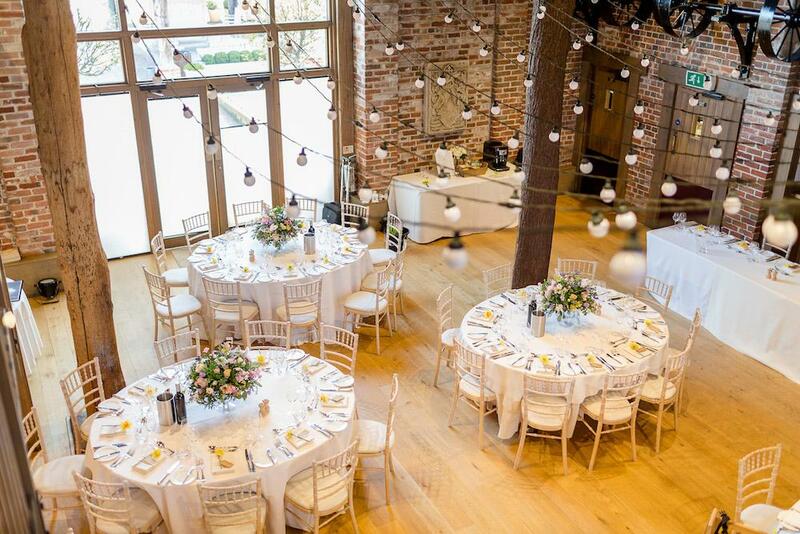 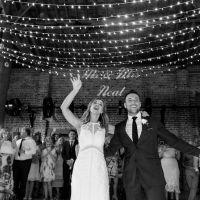 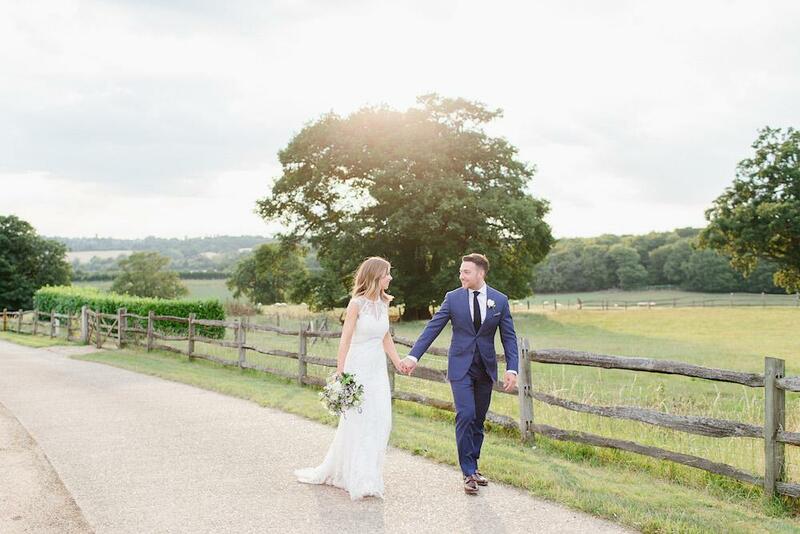 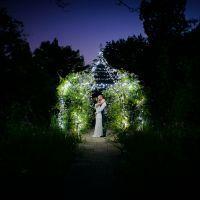 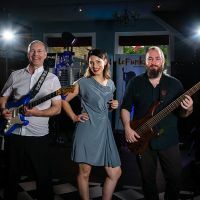 This stunning wedding venue and all it offers for a fabulous country barn wedding is just a stone’s throw from London and easily accessible from all areas across the South East.